Shepherd’s Gate is the fruit born of a woman named Alice Ann Cantelow and her dream to help the homeless. Thirty-four years ago, Alice Ann was a naturalist at Sunol Park in Northern California when she began taking the homeless into her own home. She quickly found this wasn’t sufficient and with a group of like-minded people, opened the first campus of Shepherd’s Gate in Livermore, CA. Since then, a second campus has been added and is located in Brentwood, CA (NorCal). Recently, I sat down with Mary Norcross the director of Shepherd’s Gate Brentwood campus to discuss how she became involved with Shepherd’s Gate and how the program is designed to help the women who come to them. Eleven years ago, Shepherd’s Gate Brentwood campus was opened. Mary, the Woman’s Pastor of one of the community churches got involved in helping get Shepherd’s Gate up and running. Mary’s first experience with Shepherd’s Gate was as a volunteer helping set up the pantry and during this time she didn’t have any contact with the women. Mary began to invite the women of Shepherd’s Gate to women’s events and Bible study at her church. It was during this time Mary had the opportunity to get to know the women and nurture a relationship with them. When Mary’s job as the Woman’s Pastor at her church ended she was looking for a new job, one she says was, “more in the trenches”. A position became available at the Livermore campus and Mary quickly accepted. 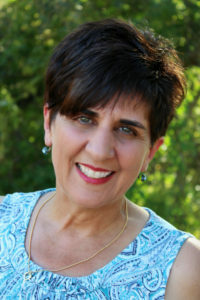 Within three to four months she was promoted to Director of the Brentwood campus. DESTINATION ONE. The normal process for women to be considered for residency at Shepherd’s Gate is to apply online or call the office directly. The women go through a three to four conversation process before they are accepted into the program. Once accepted the program is twelve months and there are three destinations. Destination one is the discovery period that is a forty-five-day short-term “black-out period” During the “black-out” period the staff and women are getting to know each other and building trust. The staff assesses the women to determine their needs and if the women are ready to live by the structure and guidelines of the program. At the same time, the women are deciding if Shepherd’s Gate is where they need and want to be. Some women go from program to program to program. As Mary says, “Our goal is that this is their last program.” The women who are accepted have either suffered financial issues that caused them to become homeless, are suffering from substance abuse or domestic violence. Mary said, “We’re not a hidden shelter.” The women fleeing severe domestic violence go somewhere else and when it is safe for them they can take the steps to transition to Shepherd’s Gate. DESTINATION TWO. A normal day at Shepherd’s Gate is very structured and is where destination two, going deeper, begins to take shape. The women start their day with a 6:00 a.m. wakeup call and a quiet time reading their Bible, doing a devotion or journaling. Breakfast and roll call follow their quiet time. From 9:00 a.m. to 3:00 p.m. the women are in classes that run for an hour each. There they are learning life skills, anger management, forgiveness, going deeper into their root issues and learning about safe relationships in their families and with friends. The women with children also attend parenting classes. Shepherd’s Gate is very focused on the biological, psychological, social and spiritual aspects of the whole person targeting each part to get to the root issues rather than surface issues, such as addiction. Mary states, “Addiction is actually a surface issue, something led them to that addiction.” In this way, the program helps the women discover these aspects about themselves as a whole. DESTINATION THREE. 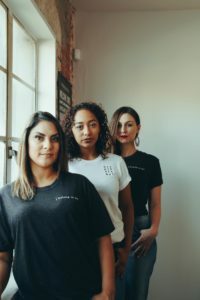 As the women progress through the program they are on their way to destination three, the journey upward and out, which helps ready them to live on their own and re-enter the workforce. Shepherd’s Gate has a list of housing resources but Mary says, “Although, that is always the largest problem in the Bay Area.” Many times, placing the women on the lists for low-income housing happens before they enter into destination three because it can take a long time. Volunteers help the women with their résumé and interview skills as well as how to dress for an interview. Women pursuing a job in administration attend a local job skills school where they learn micro-soft office programs and strengthen their computer skills. Eighty percent of the women who complete the program have a job, housing and have been clean and sober for one to two years. An Alumni program has recently been established and allows the women to come back and support one another if they’re not receiving support that had been previously established when they completed the program. Once the women complete the program they are celebrated with a graduation ceremony and share their story and their journey. The celebration includes cake and flowers and the women also receive a photo album filled with pictures of them throughout their time as a visual reminder of where they were and how far they’ve come. At the end of our time together Mary took me into the living room of the house and showed me these pictures. 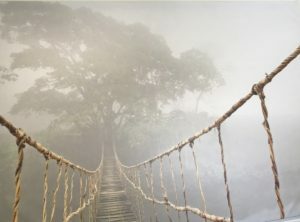 When the women first come to Shepherd’s Gate she shows the women the picture of the bridge and tells them they are standing at the beginning of the bridge and it looks risky and scary but as they journey across and take the risks they end up on the other side by the picture of the trees in the light and love of God, flourishing and healing. Next articleOneRace Brings Racial Unity and Reconciliation at Stone Mountain, Ga.